A funny thing happened to the Civilization licence in the late 90’s. It started with Sid Meier and Brian Reynolds – designers of Civilizations I and II respectively — upping sticks and leaving a waning Microprose along with several other key staff members to form Firaxis Games in 1996. 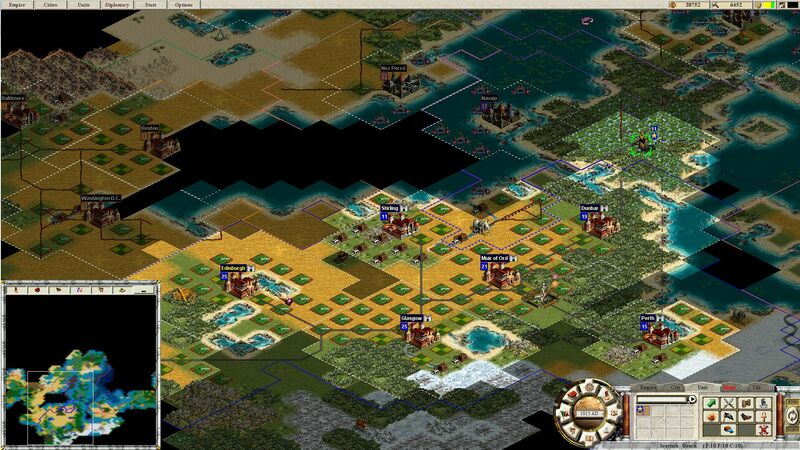 While Firaxis had the talent, though, what they didn’t take with them were the rights to the Civilization name, which remained firmly in Microprose’s clutches – not that Microprose could do a whole lot with it, seeing as their premier strategy game developers had just left the company. Enter a pre-CoD and WoW Activision, who nevertheless signalled their future bastardry by seeing that there was perhaps some money to be made by capitalising on the Civilization name and acquiring the rights to market PC games called “Civilization” from board game manufacturer Avalon Hill, who had been making a moderately-successful board game with the same name for decades. Avalon Hill and Activision’s next step was to claim that they had sole rights to the Civilization name and sue Microprose for copyright infringement. Microprose were more than a little annoyed by this since they’d already licensed the Civilization name from Avalon Hill back in 1991 before releasing the first game in the series, and so they countersued. Judging by the results this did not go well for Avalon Hill, who had to settle out-of-court and acknowledge that it was Microprose, not Avalon Hill, who had the right to make computer games called Civilization. It didn’t go so badly for Activision, though, who came out of the whole sorry business with a licence from Microprose to publish their in-development historical 4X title under the name Civilization: Call To Power.